I sat down in my conference room today to meet a potential client. He was a large man, over six feet tall, weighing at least 200 pounds and he wore a thick beard. The way he handled himself revealed that he was someone who had grown up learning to work hard. He had large hands with thick callouses and he had sturdy shoulders developed from years of heavy manual labor. There was nothing in this man's personality that would let him "fake it." When he said he was in pain, he meant he was in pain. A few months back he had been in an automobile accident while driving a work truck. He had some questions about how the automobile insurance company and the workers compensation insurance company should be treating him. Unfortunately, the workers compensation claims adjuster had mistreated him, refused to authorize appropriate treatment, and had called him lazy when he said he could not yet return to his work as an excavator. Unfortunately, far too many claims adjusters disrespect injured people. Naturally, he had questions and he came in search of answers. I spent well over half an hour talking with him about his case and trying my best to outline the way his case should proceed. At the end, I asked him, "Does that make sense?" He responded, "I understand what you are saying, but logically, it does not make sense that they would try to get away with all this." I chuckled a little because I knew exactly what he was saying. Many years ago, I was a young associate attorney at an insurance defense law firm in Salt Lake City. It had taken me more than a few months to really get a handle on all the insurance issues, and I was doing it for my full-time job, with a law degree and a license to practice law! It was not really fair to expect all of this to make sense to someone who was hearing it for the first time. That is why it is so important to find a lawyer with the knowledge and experience to offer excellent guidance. When it comes to dealing with different types of injury insurance, there is a lot to know. It takes time and experience to learn it. The ins and outs of personal injury claims are not always intuitive. And dealing with insurance companies is never simple. Having a personal injury claim is literally a full-time job, and you will likely feel like there is so much information coming at you that it is like drinking from a fire hose. One misstep and the insurance company will take advantage of the opportunity and deny your claim. When I saw this picture of the woman riding a jungle zip line, it made me think about the importance of experience. I would never get on a zip line unless I was being instructed on how to do it safely. (Trust me, I had a case a few years back where an inexperienced zip line rider fell off a zip line and sustained life-altering injuries.) Experience is the key to avoiding mishaps. 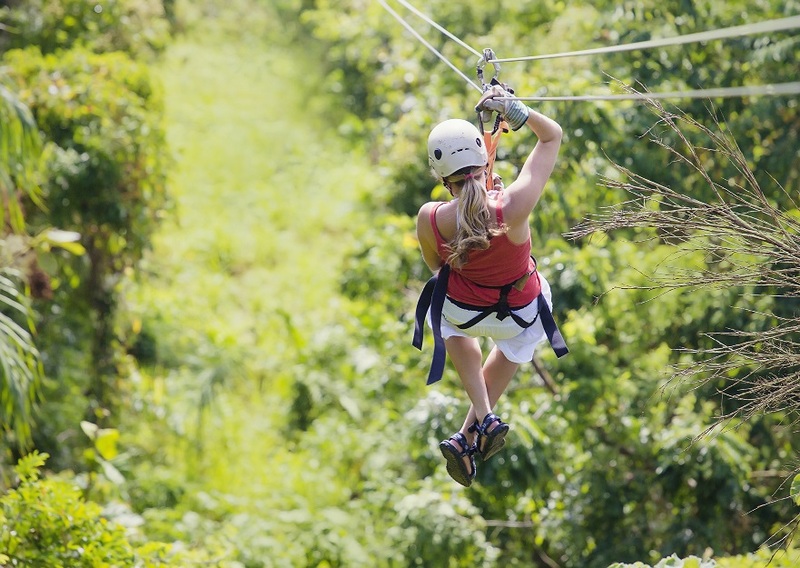 If I were to go zip-lining, I would pick a zip line run by someone with years of experience who would be willing to explain things to me in an easily understandable way. I would want someone who could anticipate the potential hazards and instruct me on how to avoid them. I would want to make sure the zip line was built the right way and that I would safely make it to the end. The same is true of the need to hire an experienced personal injury lawyer. Your claim is too valuable to leave to chance. There are many variables that need to be accounted for, and there are many obstacles that will make it difficult for you to go it on your own. Despite seeming friendly, insurance claims adjusters are not your friend. And there is no easy-to-understand insurance claims manual that can teach you how to navigate the waters between PIP insurance, BI insurance, UIM insurance, health insurance and workers compensation insurance. At Schriever Law Firm, we take every claim seriously and treat it with the individual attention necessary to get the right result. We consider all of the facts, and we work hard to make sure that our clients make it safely to the end of their claims with the best result possible. We do not always take the easiest route, but we take the right route to get the best result. My entire practice is dedicated to injury law, and it always has been. There is no substitute for the experience I have had, and I am proud of the work we do every day to make sure our clients are well taken care of. If you have questions about your personal injury claim, check out our FAQ section to get the perspective of an experienced injury lawyer.